Warning: This is highly addictive! The recipe is pretty simple - only three ingredients - and the hardest part is waiting for the mousse to set. I would recommend serving it in mini dark chocolate cups similar to those in the photo above, which are available at Lunds. 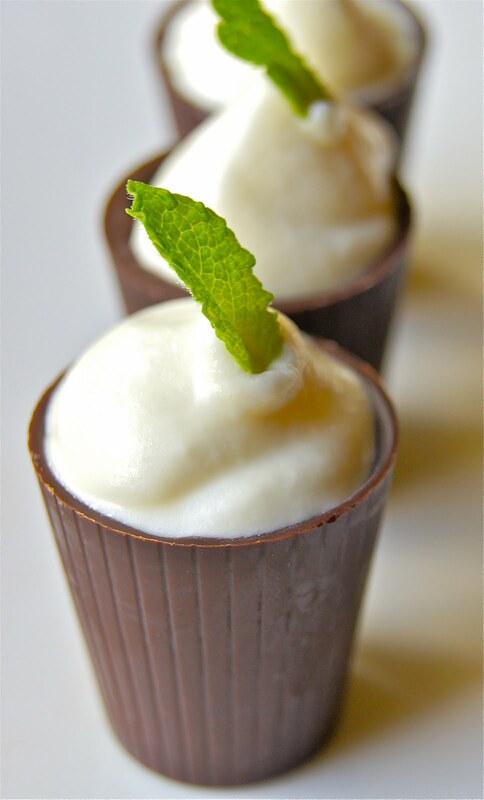 They fill about two ounces of mousse each which makes a perfect serving size. 1. Melt the white chocolate and 1/2 cup heavy cream in a double boiler set over low heat. Remove from the heat and allow to cool for 30 minutes. The mixture will begin to thicken during this time. 2. 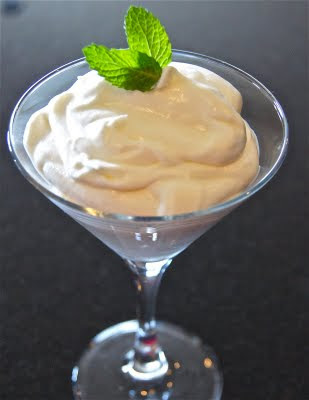 Whip the remaining 1 cup of cream and the peppermint extract to stiff peaks. Fold half of the whipped cream into the chocolate mixture so that no visible signs of the white chocolate remains.Then, carefully, fold in the remaining whipped cream. Divide among dark chocolate cups or servings glasses and chill for two hours before serving. You are a genius!!! These are sOOOOO yummy!!! Thank you for sharing your recipes!!! Exquisite dessert, super bowl, looks absolutely beautiful, hugs ..